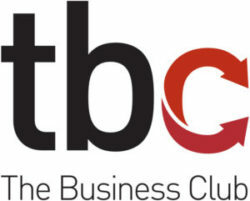 Join us at The Business Club Spring Event on Wednesday 27th March 2019 from 11:45 to 14:00 at The Tytherington Club in Macclesfield. The theme this month is What is your business backup plan and our speakers are mental capacity specialists Genevieve Powrie and Aalia Ijaz from SAS Daniels LLP. They will be helping businesses to plan ahead, and demonstrating how you can protect your business and ensure it carries on running if you’re unexpectedly absent. Running a business involves planning for the future and setting goals. Unfortunately illness or loss of mental capacity is not something we can predict and shockingly 40,000 people in the UK have dementia before the age of 65. So what’s your business’ backup plan and have you even thought about it? Genevieve has over 10 years’ experience specialising in legal issues which affect vulnerable clients, such as mental capacity, lasting powers of attorney, deputyship and court of protection matters. Her expertise in these matters allows her to provide clients with the advice they need in a professional yet reassuring and kind manner. Aalia specialises in Wills, Trusts and Lasting Powers of Attorney, bringing a wealth of experience which allows her to advise clients on the best method to protect their estate, reduce inheritance tax and ensure their business continues running without them. The Business Club is a quarterly event hosted by Harts Limited and SAS Daniels LLP.